Acer is prepping at least two new gaming laptops kitted with unreleased silicon from both Nvidia and Intel. A leaked slide shows two new laptops for 2019, each one rocking an Intel 9th Gen Coffee Lake mobile CPU and Nvidia GPU, including the unannounced GTX 1650. Nvidia recently launched the GTX 1660 Ti and GTX 1660 – two Turing architecture GeForce cards disembowelled of their RTX innards. 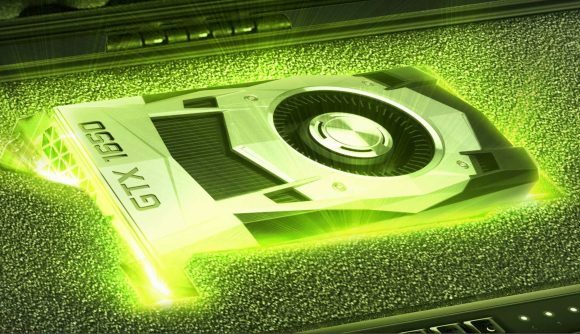 Nvidia has high hopes that these rather more affordable 16-series graphics cards will maintain Nvidia’s GPU dominance in the mainstream market, but sometime in 2019 it will be facing off with a new generation from the red team: AMD Navi. But there’s yet to be a GTX 1050/Ti replacement within the 16-series. Rumour has it this entry-level GPU will launch as a desktop add-in card on April 22, 2019, or so says VideoCardz. The card is expected to pack a TU117 GPU, paired with 4GB of GDDR5 utilising a 128-bit bus. Both the 15-inch and 17-inch Acer laptops within the leaked material (via Twitter user I_Leak_VN) will be available with either the GTX 1650 or GTX 1660 Ti. And Intel may not be far behind with the launch of its 9th Gen Coffee Lake mobile CPUs if the rumours ring true. Intel tends to favour an April launch for its latest mobile parts, after all. Back in November the company released a vanguard of high-performance 9th Gen processors, led by the octa-core i9 9900K. But it is yet to refresh the 8th Gen Coffee Lake H-series processors with the same 9th Gen zeal. The top mobile chip remains the hexacore Intel Core i9 8950HK. Intel hasn’t been feeling quite so much pressure to ramp up its mobile efforts, at least not quite so much as it has on the desktop side of things. AMD Ryzen 3000 chips are looking awfully threatening to its market dominance on the desktop right now, necessitating a move to 10 cores with Intel Comet Lake later in the year, but AMD’s current mobile release trajectory won’t have Zen 2 reaching the mobile market until 2020. AMD announced the second gen Ryzen 3000-series APUs back at CES 2019 in January, opting for the moderately improved 12nm process. The top chip Ryzen Mobile chip, the AMD Ryzen 7 3750H, remains at just four-core / eight-threads for now, and that leaves Intel relatively undisturbed in the high-performance laptop market. With Nvidia’s apparent GTX 1650 launch creeping closer, we’re sure to hear more in the coming weeks about this entry-level card. And with Intel also gearing up for another refresh, April/May could be a great time for gamers on the go.